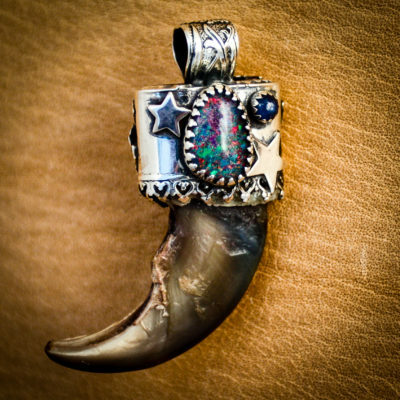 Let’s look closely at this amazing piece of jewelry. 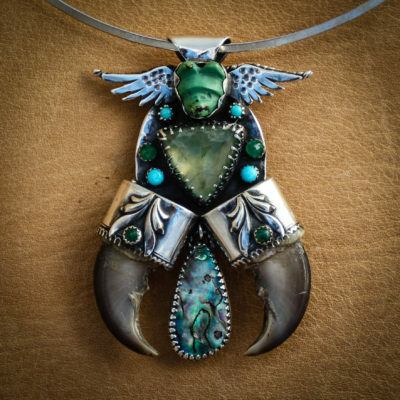 Priestess of the Spring is a stunning handcrafted necklace by Santa Cruz jewelry, Angela Blessing. 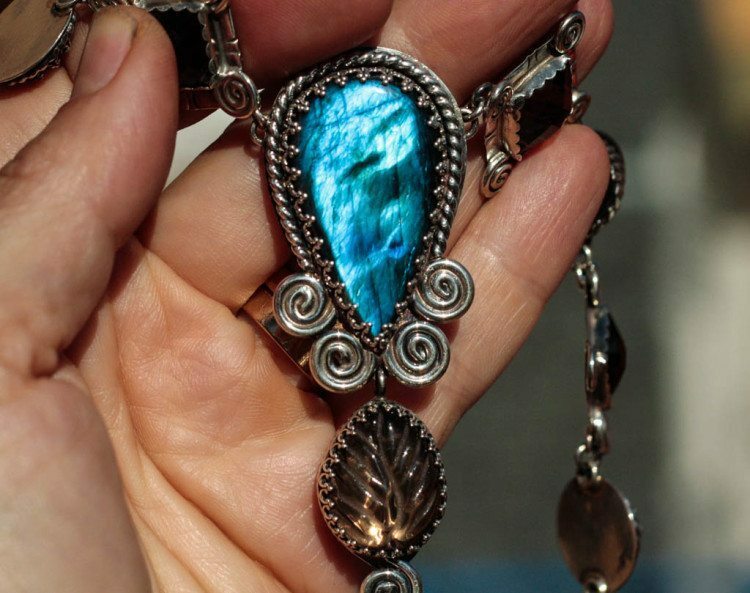 At its centre is a mesmerizing rich blue labradorite. 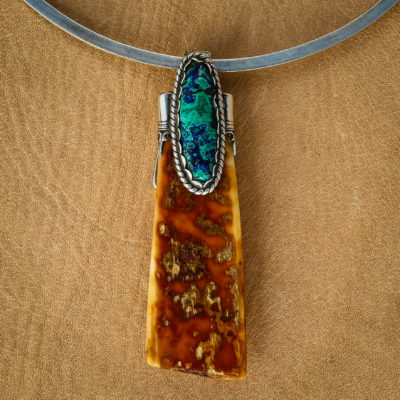 This stunning gemstone allows energy to flow through the fifth chakra, the Throat Chakra. Labradorite will bring place to your hectic world and allow you to express your thoughts calmly and peacefully with its powerful blue energies opening up the Throat Chakra. It allows us to become wiser through this expression and creates a flow of energy around and within the body, linking it to the spirit. The square faceted smoky quartz are set in hammered silver and on each corner, delicate silver spirals remind us of the never ending cycle of life. The spiral is in its essence a feminine symbol representing fertility, childbirth and the cycles associated with the life, death, life process or the renewal process. Adding the dreamy calming energy of the labradorite, the smoky quartz helps relieve stress and anxieties which we all face each day. 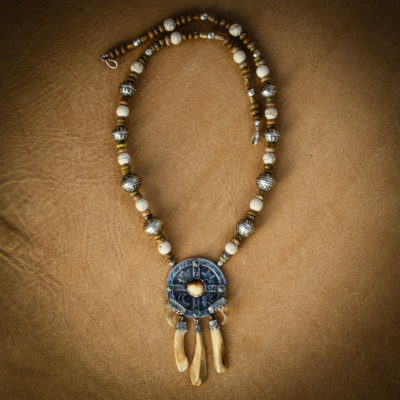 It does this by enhancing the positive energy while providing a balance so the wearer can become revitalized. Quartz purifies negative energies and from this point, the mind and the body are able to heal themselves more freely and find a deeper, more reliable inner strength. 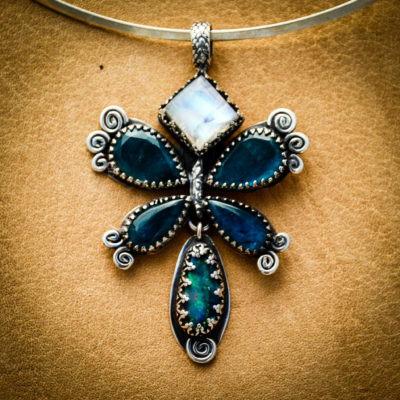 The spiral motifs are woven into the magical of the Priestess of the Spring accenting the beautiful gemstones and highlighting the unique craftsmanship of the silver work. 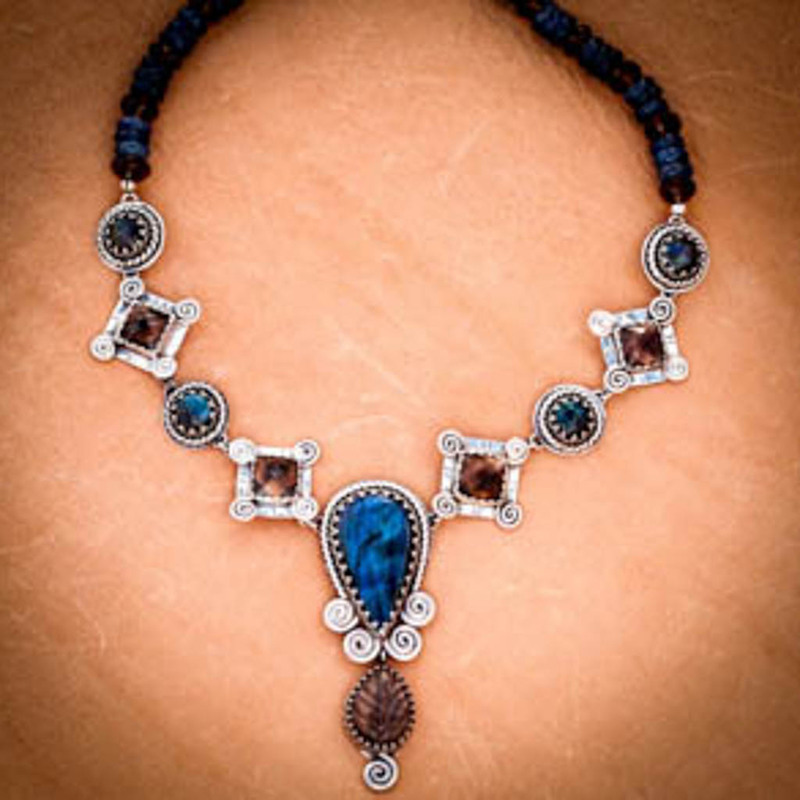 The point towards the four directions and bring their power back towards the wearer and the gemstones themselves. Wearing a one-off necklace like this is a statement about the unique power of your feminine soul. It is certainly a piece that speaks volumes – click here for more information.